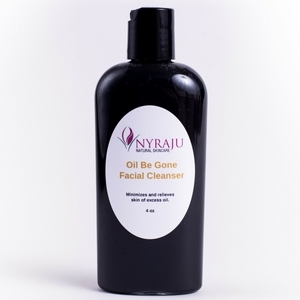 Packed with exfoliating organic fruit extracts that are perfect for acne challenged skin. A lot of acne sufferers are plagued with oily skin, so we created a blend of essential oils along with exfoliating organic fruit extract, coconut oil and teas that are perfect for chaotic skin. 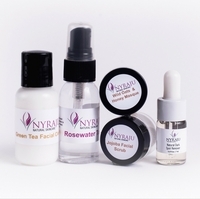 These ingredients will nourish and nurture your skin, being careful not to strip it of its natural oils. The not so secret ingredient is Activated Charcoal. It acts as a magnet to attract and absorb the dirt and oil from your skin. How to Use: About a dimes worth in the palm of your hand. Add water and begin to cleanse in circular motions in an upward direction. Be gentle with your skin, you do not need heavy pressure to cleanse. Shake well before using, the charcoal can settle on the bottom. Ingredients: Water, Coconut oil, Organic Lavender Flower Water, Roman Chamomile Flower Water, Activated Charcoal, DMAE Bitartrate, Glycerin, Hydrolyzed Wheat Protein, Provitamin B5, Baking soda, Organic Rooibos Leaf, Organic Sugar Cane Extract, Organic Bilberry Fruit Extract, Organic Sugar Maple Extract, Organic Orange Peel Extract, Organic Lemon Peel Extract, Organic Cranberry Fruit Extract, Tea Tree Leaf Oil.